Eileen Rance, née Dyson, still lives in the house in Queen’s Road where she was born in 1932, the youngest of four children and the only girl. The father of the family, George Dyson, was born in Walthamstow in 1889 – his father, Henry, had left Hellions Bumpstead in Essex a few years before in search of work. The family had lived in the village for many generations, and were descended from John Dyson, who was the parish clerk in the 1750s, and a man of some local importance. But in later years most of the Dysons were farm labourers, earning little and living in rented cottages with no protection against eviction.. As the nineteenth century went on, wages dropped and work was scarce, and many farm workers left their homes and went to London or other cities in search of a job. Henry Dyson’s father, another Henry, had had a good job as a farm bailiff, but there was no work in the district for his son. We do not know exactly when or why the younger Henry decided to move to Walthamstow – it may be he had heard there was plenty of local work – and the distance of forty-five miles would have been manageable. 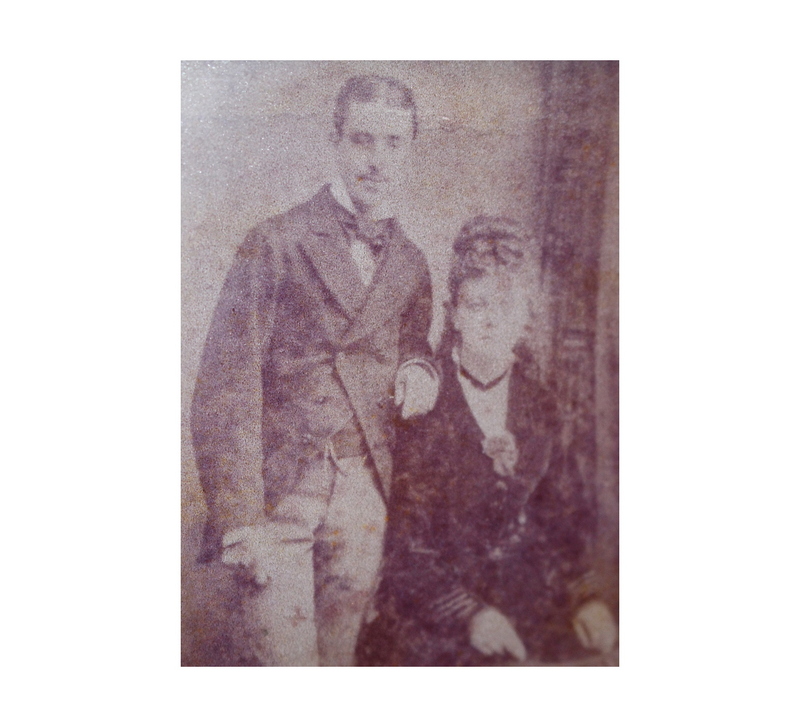 He married a Hoxton girl, Emma Rance, at St John’s Church, Walthamstow in Walthamstow in 1883 – they were both only nineteen years old – and they went to live in Chapel End. Their eldest son, yet another Henry, was born the next year, the first of a family of ten. Life in Walthamstow did not go well for Henry and Emma. By around 1900 they had no work and no money, and had no other choice than to enter the Workhouse in Leyton. It was there that their sixthson Walter was born in April 1901. They stayed there for at least two years, and their second son, George, was sorry to leave, as he had appreciated having warm clothes and enough to eat, and remembered the teacher at the school he attended as having been kind and encouraging. In 1903 the family moved to Birdbrook in Essex, near where Henry’s father was now a farm bailiff, and it seems that he was now able and willing to help. In 1911 the family (the parents and eight of their children) were living in a four-room cottage in Birdbrook, where Henry and his three elder sons were all farm workers. But just before the beginning of the First World War the Dysons returned to Walthamstow, where Henry now found work as a general labourer and a home in Beaconsfield Road. His eldest son had now become a professional soldier, but the younger children, including George, moved back to Walthamstow with their parents. George was to have several different jobs after he returned to Walthamstow. He started out as a carter for Peter Robinson, delivering goods from the West End department store all over the London area. From this he went on to a series of labouring jobs, and then took the step of learning a skill – that of wall and floor tiling, after which he became self employed. In 1923 George married. His bride was Amelia Elizabeth Peckham. Amelia was a widow – she had married sailor William Peckham in 1915, but he was reported missing, believed killed after his ship the HMS Coquette was sunk by a mine from a German submarine. Amelia then had to endure seven years of uncertainty before her husband was officially declared dead. Family legend has it that Amelia and George were waiting to marry for several of those years – the wedding was on 5th August 1923 at St Barnabas Church after which the newlyweds went to live in Queen’s Road. After about four years they moved next door, where they remained for the rest of their lives, bringing up their four children there. During the 1930s depression, life was hard for a great many people, including the Dysons. George worked hard as a tiler, but all too often his clients either did not pay him for months, or sometimes, at all. So Amelia, as well as bringing up four children and looking after the house, earned some money by scrubbing steps and cleaning houses. One of her jobs was cleaning at the Synagogue (now a Mosque) opposite. Meanwhile George gave up on tiling, and took any job he could find, from labouring to road sweeping to sorting pig food at Low Hall Farm during the Second World War. He was too old to be called up, but served as an Air Raid Warden. Both George and Amelia lived to a great age – their grave is in Queen’s Road Cemetery only yards from where they lived for so many years. Their daughter Eileen, now a great grandmother, lives in the house where she was born, within a mile of where she went to school, worked as a pattern cutter, was married, and where her own children went to school.